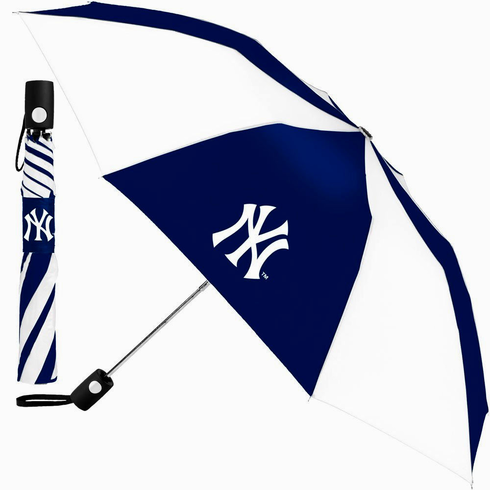 New York Yankees 42" Push Button Automatic Folding Umbrella. ~ 2 Yankees NY logos on navy blue and white canopy. ~ Push button for automatic open. ~ Measures appx. 42" open. ~ Officially Licensed Major League Baseball Merchandise.